Chlorine dioxide (Cl02), a very effective, mold/mildew odor neutralizer that was used in the aftermath of Hurricane Katrina to remediate flood damaged homes and buildings. 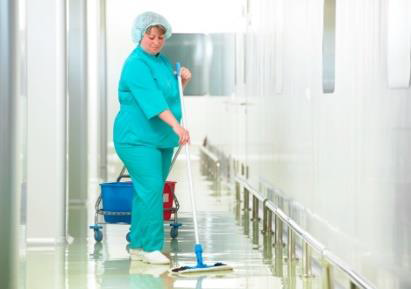 In addition to eliminating odor, Cl02 is also used in a variety of ways including water treatment plants, in dental and medical facilities, food processing operations and for mold/mildew odor remediation. ClO2 is often used for viral and bacteriological air disinfection, and was the principal agent used in the decontamination of buildings in the United States after the 2001 anthrax attacks. Star brite's PERFORMACIDE® is a suite of unique point-of-use ClO2 generation system products. There are three main Performacide categories: Disinfectants for Hard non-porous surfaces, Air Care Products, and Mold & Mildew Products. When the PERFORMACIDE® sachet is immersed in water, it creates a ClO2 solution that delivers the freshest, most-effective means of disinfecting, sanitizing, deodorizing and mold/mildew remediation. The solution remains active for 15 days.